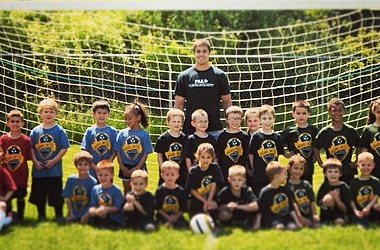 Rich Costanzo is a Pittsburgh native and the founder of the Pittsburgh Soccer Academy. In March 2014 Rich took a Division 1, collegiate coaching position at Army, West Point. Rich is a US Soccer Network Scout for the Northeast Region, where he evaluates Youth Players for the US Soccer National Team System. He also evaluates USSF Academy Clubs and is involved with National Training Centers. He currently holds a USSF “B” License as well as the NSCAA Premier Diploma. 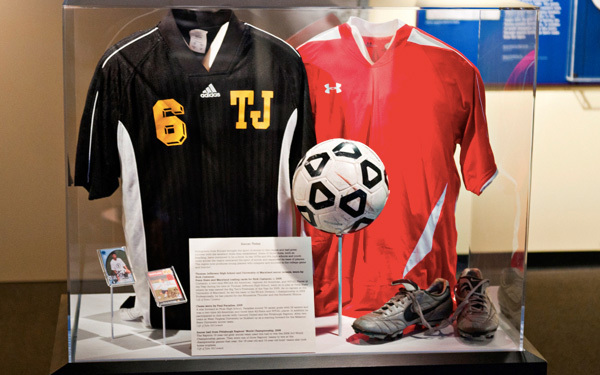 Costanzo attended Thomas Jefferson High School in Pittsburgh, where he was a two-time NSCAA/adidas All-American, a two-time regional All-American, and was twice named the WPIAL (Western Pennsylvania Interscholastic Athletic League) Player of the Year. In 2003, he was also named the NSCAA Pennsylvania State Player of the Year and chosen as an EA Sports All-American. He helped lead the Jaguars to the PIAA (Pennsylvania Interscholastic Athletic Association) State Championship three times, winning the state title in 2002. Costanzo was selected to play for the Region I Olympic Development Program team from 2000–2005 and was a member of the U.S. U–18 National team player pool. He started his youth soccer in Pittsburgh for the Beadling Soccer Club, before joining FC Delco on the other side of the state. Costanzo started college soccer at Pennsylvania State University where he was named the 2004 Big Ten Freshman of the Year. He was also named Freshman All-America by Soccer America, Top Draw Soccer, and College Soccer News. He transferred to the University of Maryland, College Park to continue his collegiate career. He became a team captain for the Terps in the 2008 season, and helped lead the team to an ACC Championship and NCAA Division I National Championship. 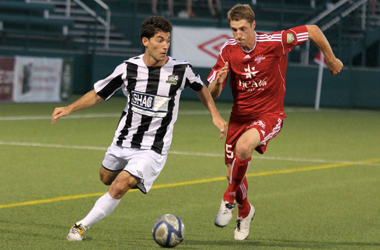 Costanzo started his professional career, in 2009 with the Minnesota Thunder of the USL Professional Soccer League. He made 20 appearances as a rookie scoring one goal from the right back position. Costanzo spent the next two seasons, 2010 and 2011, with the Rochester Rhinos, where he made 39 appearances. He played both outside midfield and outside back throughout the seasons, netting four goals. Costanzo spent the 2012 and 2013 season in his home town of Pittsburgh as Captain of the Riverhounds, where he played outside back in 43 games and scored 3 goals.